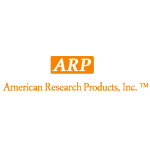 ARP has developed a worldwide reputation for providing its customers with research and diagnostic tools of the highest quality. We are dedicated to the development of biological and biomedical research products, which are distributed in countries all over the globe. We offer Monoclonal and Polyclonal Antibodies as well as purified and recombinant Antigens for research. The Diagnostic Tools are comprised of products for the detection of Cytokines and Growth Factors, Infectious/TORCH and Autoimmune diseases, Bone and Mineral Metabolism, Cardiac Markers, Catecholamines and Bioamines, Reproductive and Fertility Assays, Tumor Markers, Steroids, as well as Endocrinology, Neurology and Salivary Assays. Our commitment to detail and quality will ensure the results you have come to expect. We are continuously adding new products to our database in order to accommodate your changing research needs. If you do not see the product you are looking for, please do not hesitate to contact us.